Considering you have been exercising regularly and sticking to a walk/run program for more than 6 weeks, it is time to up your game and start running 30 minutes per day. 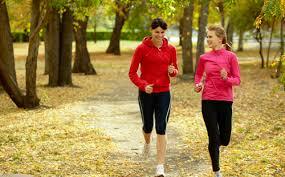 You exercise regularly if you engage in some combination of walking and running for no less than 150 minutes a week. It means that you would be exercising for at least 30 minutes, five days a week. But, you need to know how you can intensify your routine in an effective way, and if you should be running with or without walk breaks. Will Running 30 Minutes a Day Help to Lose Weight? Yes, it certainly will. To lose weight, you need to burn more calories than you consume. And one way to burn more calories is to include running in your routine. However, how much weight you lose varies depending on your present body weight, your running speed, etc. Your body weight at the time of starting a running routine plays a big role in how much weight you end up losing. Similarly, your running speed matters a lot. 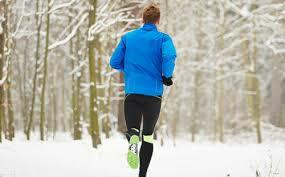 If your body weight is 155 pounds, you can burn about 298 calories by running for half an hour at 5mph. The same routine will help you burn 355 calories if your body weight is 185 pounds. If you increase your speed a bit and run at 6mph, you will again be burning more calories – 372 calories if your body weight is 155 pounds. It means that running may become less effective as you continue to lose weight, but you can still get good results by increasing your speed. If you burn 3,500 calories a week, you will lose about a pound of body weight. That is when you do not get more calories than required to maintain your existing body weight. The issue is that you should avoid running at a high speed every day – this can lead to injury. Therefore, it is better to include some form of strength training and cardio activity in your routine to get good results. Besides being able to lose weight, you will enjoy many other benefits by running 30 minutes every day. 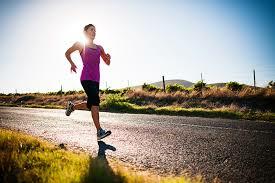 By running, you will encourage your body to release endorphins that will improve your mood and make you happier. Interestingly, you can trigger the release of those feel-good hormones even if you run for 10 minutes. A quick blast can actually prove more beneficial, as it prevents the post-run tiredness and still provides you with the benefits of running. You are less likely to injure yourself by running for half an hour. Moreover, the activity will not overuse or overstretch your muscles, and this will help your body recover quickly and get you ready for another run tomorrow. You can further enhance your recovery by including correct food and stretches in your routine. By running 30 minutes a day, you can really improve the quality of your sleep. Running helps lower stress and anxiety levels, and makes it easy for you to deal with insomnia. It is important that you do not run too close to bedtime or those endorphins will make you active and affect your sleep. Ideally, you should be running no less than an hour before bedtime. Running about half an hour a day can help make your muscles more defined. It will especially help strengthen your quads and tighten up your stomach at the same time. You already know there are benefits of running 30 minutes a day, but you may be thinking the best way to include this non-stop run in your routine. Here are a few tips to get you started. You have to pace yourself when you first include running in your routine. You really do not want to hurt yourself while trying to run for 30 minutes with no breaks. It is better to get into a rhythm first. Under no circumstances should you be running too fast, especially in the beginning. Run at a pace that allows you to carry out a conversation with someone. Running faster than you should is only going to put unnecessary strain on your muscle and joints. Do not let your body tense up when you start running. There is no need to tighten up your upper-body when running. Doing this will affect your breathing and even sap the strength that your legs and lungs need. Do not clench your jaw, furrow your brow, or keep your shoulders shrugged. Let your hands be loose while running. Do not try to cut corners when it comes to buying the best quality running shoes and clothes. If you persist with worn-out shoes or inappropriate clothing, you are only going to hurt yourself in the process. It is important to replace your running shoes every 300-500 miles. Go to some specialty-running store to buy you shoes – this way, you can use the help of experts. You should invest in good quality shorts, shirts, jackets, and pants. You will be better off buying fabrics that can keep moisture away from your skin. Do not go with cotton because it can absorb moisture and cause chafing. 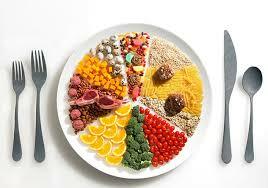 You should be having a balanced diet to get maximum benefits from running. Moreover, it is important to fuel up your running sessions by having a small 200-calorie snack before running. You should have a low-fiber, low-fat snack to avoid feeling uncomfortable during the run. Be sure to keep your body hydrated by drinking 8-16oz of fluid before running. Some great ideas for pre-workout fueling are 2 fig cookies; a cup of low-fiber cereal with skin milk; an orange; 3 cracker squares with a tsp. of honey; or a cup of berries with half cup of cottage cheese. Is Eating 1000 Calories a Day Safe?